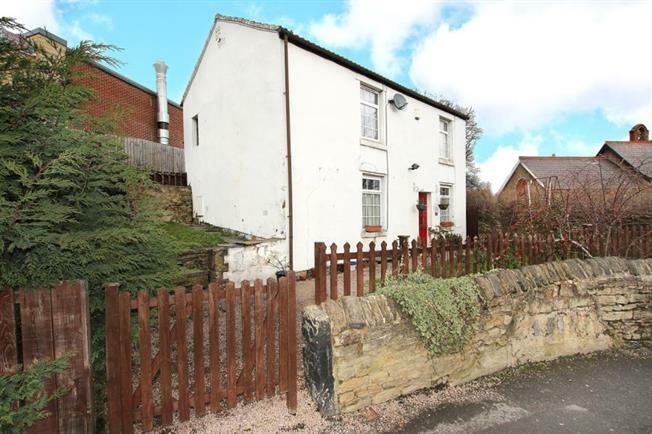 3 Bedroom Detached House For Sale in Sheffield for £149,995. This property's price has dropped from £159,995 to £149,995. Realistically priced to attract interest and located within this popular area of High Green occupying a corner position with gardens to three sides is this attractive three bedroomed cottage style detached property. Having the added benefit of being located so close to local shops, schools, open playing fields and within a short drive to the M1 motorway. The property offers ideal space for someone looking for a cosy cottage environment and offers gas central heating with majority double glazing. The accommodation comprises, lounge, dining room, kitchen area with access to side storage area and garden. three bedrooms to the first floor with main house bathroom. We are informed by the previous owner that the cottage does date back to circa 1850s but this has not been confirmed by the agent. A range of laid to lawn area is to the front and side of the property with bush and fenced borders. An internal inspection is recommended via the selling agent. Builder conditions apply.